Hello!! I always love when a big box of inspiration comes from Gypsy Soul Laser Cuts. It's always so fun to dig thru and see what really sparks an idea. In my most recent box, there were these fabulous Mini Trading Coasters (coming soon) and I instantly thought they would make the perfect covers for a small book of some sort. I have been wanting to try my hand at an accordion book so decided to dive right in. I got so caught up in making this project I forgot to take a bunch of pictures but I'll walk you thru my thought process. These Mini Trading Coasters come in a 3 pack and measure 2.5 x 2.5. The possibilities for these are endless. I wanted to keep my book simple with a focus on textures. 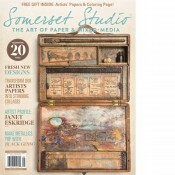 The cover has a die-cut pattern layered with a torn bingo card. Using a craft pic I was easily able to poke holes thru the Mini Trading Coaster. I then stitched on a button and tied a length of seaming binding around the stitching to act as a closure. I started out by making my accordion insert first. Once the accordion was made I adhered either end to the Coasters. In design, I usually strive for odd numbers but for this particular book 6 pages worked the best. Wanting a mixture of textures I did every other page out of fabric. I picked all my pieces for the main pages and stitched them together on my sewing machine. Once the main pages were sewn together I went back and added any hand stitching or embellishments. This page is actually a baby wipe left over from making rusty ink backgrounds. I accidentally burnt a hole in while drying the page next to it. But it only adds to the texture and interest. Keeping it simple by letting the textures of varying papers do the talking. A handstitched photo printed on muslin. I loved this piece of a vintage time card with the original bit of adding machine tape still attached. I kept the back simple but love the natural patina of the paper. I hope this simple project brings a small spark of inspiration. These trading coasters also come in a larger size so I think I see another book in my future. As always thanks for spending a few minutes with me today. 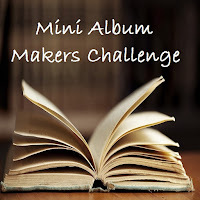 I am entering this project into the challenge over at Mini Album Makers. 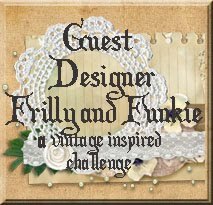 Be sure to check out all the inspiration!! Hello and happy Friday!! 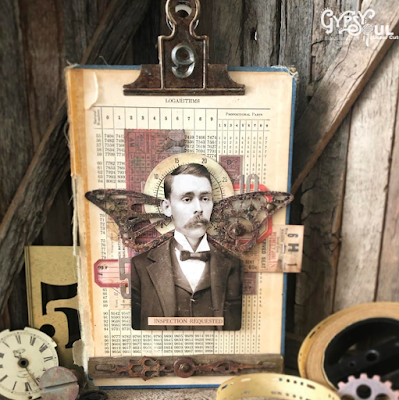 Jennalee here today with a project featuring a few of my favorite things wings and rust!! The Butterfly of Gears wings from Gypsy Soul Laser Cuts are the inspiration behind this piece. Who knew you could make wings better by adding gears? The Butterfly of Gears comes in a 2 pack and are just so inspiring. To add faux rust to your wings paint a base layer of white acrylic paint using a cosmetics sponge to dab it on. Using the same sponge randomly dab on Distress Grit Paste and allow to air dry. Once dry sprinkle a generous amount of Rusty Car Infusions directly onto the wings. Spray generously and allow the water to work its magic. Keep adding Infusions and spraying until desired coverage and color is achieved. Once the infusions have dried fill in any white areas with Rusty Hinge and Walnut Stain Distress Crayons. Using a very light touch add some detail with Cracked Pistachio Distress Crayon. 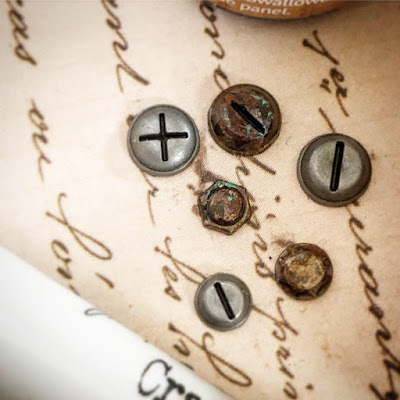 Faux rust three Tim Holtz Hardware Heads using Ginger, Latte and Mushroom Alchohol Inks. Add detail with Walnut Stain and Cracked Pistachio Distress Crayons. Adhere to gears on wings. Add faux rust to Clock Hands using Rusting Powder from Paper Artsy. Create a ruler piece using the ruler from Tim Holtz's Thrift Shop Ephemera pack and a piece of scrap chipboard. Add Distress Crazing Medium to the ruler image and once dry add Walnut Stain Distress Crayon. Prepare a Ticket Booth ticket colored with Fired Brick Distress Oxide Spray. Cut out Found Relative and trace around edges with Brushed Corduroy Distress Marker to get rid of harsh white edges. Gather chosen Ephemera pieces and distress using instant coffee. Layout collage and adhere to book cover. Layer dial, wings and Found Relative on top of the collage. Adhere Clock Hands to the ruler and then adhere to the bottom of the book cover. 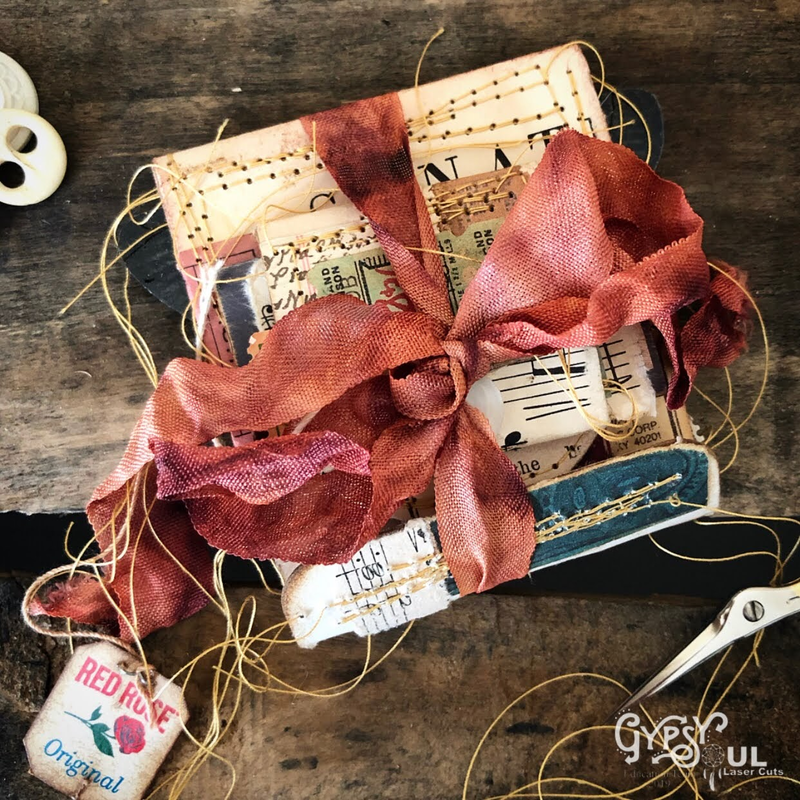 Add faux rust coloring to a Tim Holtz Vintage Clip using Ginger, Latte and Mushroom Alcohol Ink. Add details with Cracked Pistachio and Walnut Stain Distress Crayon. Prepare Numeric embellishment using the same colors and adhere to clip. It felt so good to get back in the studio and play with some of my favorite mediums. I really took my time to just enjoy the process and the flow of the project. Plus who knew you could rust so many pieces in multiple ways? Thanks for stopping by today. I hope you get to sneak in some creative time this weekend along with hopefully a bit of Spring weather. Hello!! I am so excited that Spring is right around the corner. It has been so cold in my studio that my mojo has packed up and gone on vacation. But that hasn't kept me from creating. I put together a little kit of some of my favorite papers and trinkets so that I could create in comfort on the couch. The Matchbox Skylines (coming soon) from Gypsy Soul Laser Cuts was the perfect project to keep my creative heart happy. The Matchbox comes flat ready to cover in the papers of your choice. I used a glue stick and various vintage papers to cover the box and mini houses. The accordion of houses comes with 6. As I started adding elements to mine I realized it was going to be too thick to fit in the box so I simply removed one house. For the first house or the cover stitch on a button. Leave a long tail to wrap around the accordion to keep it closed. 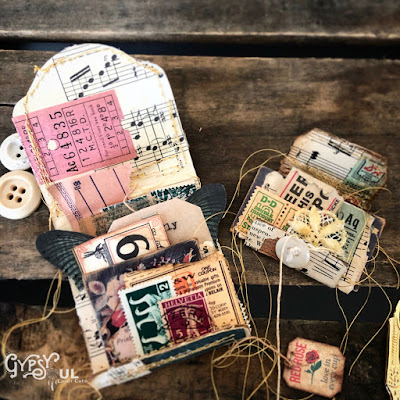 The second house is a vintage postage stamp with a Tim Holtz rub on. 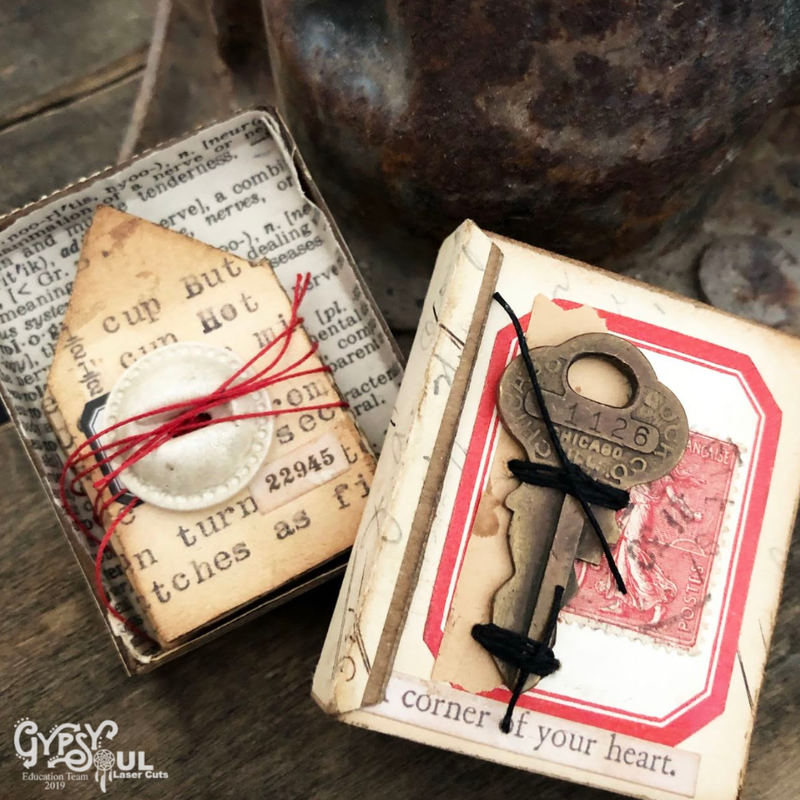 The third house is a piece from Tim Holtz's Snippets set layered with a Quotations Sticker. 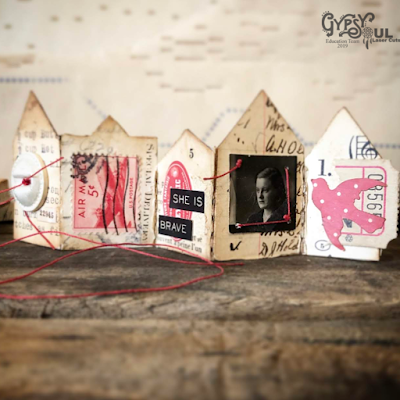 The fourth house and my favorite is simply a vintage locket photo hand stitched on. The final house has a torn ticket layered with a bird die cut I found floating around in the scrap box. I decided to keep my palette and collages very simple. I love the stark contrast of the black and red and the simple story that came about from the pieces chosen. I had fun with this simple project but look forward to warmer days when I can head back into the studio without fear of freezing.